TREB just released its mid-May 2013 stats. As usual, there is about a 2% difference between reported sales volume and what actually happened. Why is that the case? Read this article. 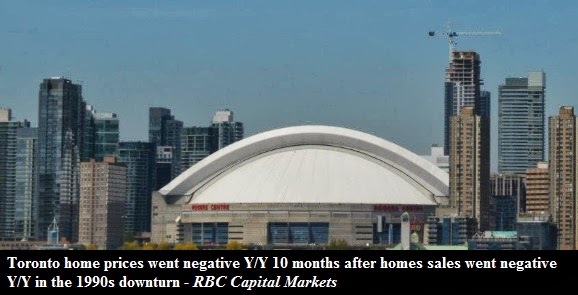 In sum, the total sales volume in the GTA is down 13% while the average price went up by 5.4%. If you think that the above data suggests the absence of a housing bubble, please consider that during 1989 bubble prices only started falling 10 months after the sales began to decline. More on this here. Below is a table with the mid month summaries for the Toronto housing market.